SEARCH BAR: Search the site using the search bar at the top of the site, then click "sort by date"
KEY WORDS: Use the function CTRL+F (CMD+F), then write key words. It will search and high light what you're looking for. For example, if you are on the TV-Radio Tag, you could search "ShimShim Tapa" as key words. If you have troubles finding the post you need, ask an admin for help! 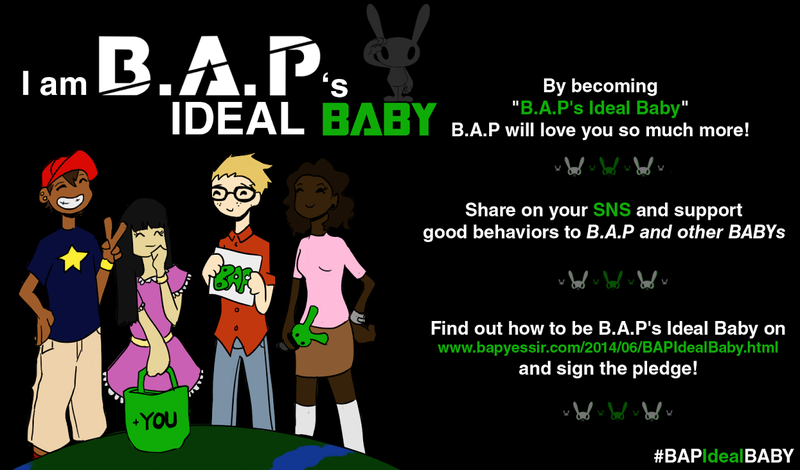 Messages from B.A.P! You will find masterposts of Twitter & Instagram updates from B.A.P's members, their staff and sometimes of their family/friends. This category also includes all Facebook, Daum fancafe, Weibo, Me2Day and Vine updates from the members or TS ENT. Concerts posts (fantakens, fancams, fanaccounts) are archived in this category. Find also reviews and press conferences of some concerts. Fansign events in Korea and fanmeetings in Korea, Japan or in other countries are archived in this category. You will find tons of fantakens, fancams and some fanaccounts. Other events B.A.P¨may attend, such as Kpop concerts, awards shows and more are archived in this category. B.A.P is always travelling! Find fantakens, fancams and some fanaccounts of their departures and arrivals in airports. Looking for TV or radio shows to watch? You will find official photos from broadcast company, and videos of their appearences on these shows. Most of them has English subtiles. B.A.P is often mentioned in Japanese magazines, but also in some Korean and foreign magazines. Find all scans and translations in this category. Interviews that aren't related to a magazine or a newspaper will be archived in this category. All interviews are translated in English. B.A.P has been the ambassador of some company's products and are also sponsoring many charities in Korea and overseas. Find all informations, photos and articles about their endorsements and charity work. Concerts posts (fantakens, fancams, fanaccounts) are archived in this category. Find also reviews and press conferences of some concerts. This category also includes fansign events in Korea and fanmeetings in Korea. You will find tons of fantakens, fancams and some fanaccounts.